You are here: Home / News / The Official "Licensed to Move" T-shirt is here! The Official "Licensed to Move" T-shirt is here! The official “Licensed to Move” shirt is finally in our STORE. That’s right - the major elements from your favorite new album are now wearable! 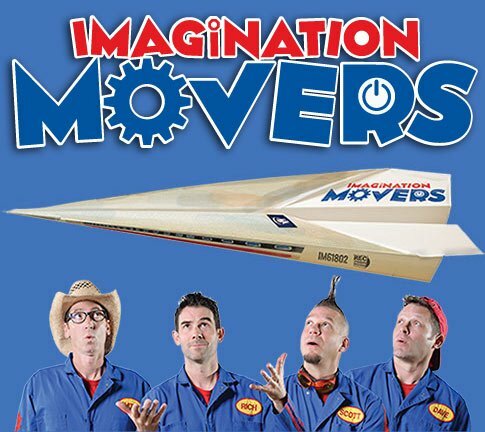 The front of this fantastic heather green shirt features the Movers logo hovering right above our iconic paper airplane. Underneath the plane, you’ll see your favorite boys in blue mesmerized with their eyes on the prize. Creating the foundation is the album title rendered in a retro style rotating mechanical timetable display you see at airports. Tying everything together is a radar circle. On the back, you’ll find the Movers motto: Reach High. Think Big. Work Hard. Have Fun in strong white lettering. 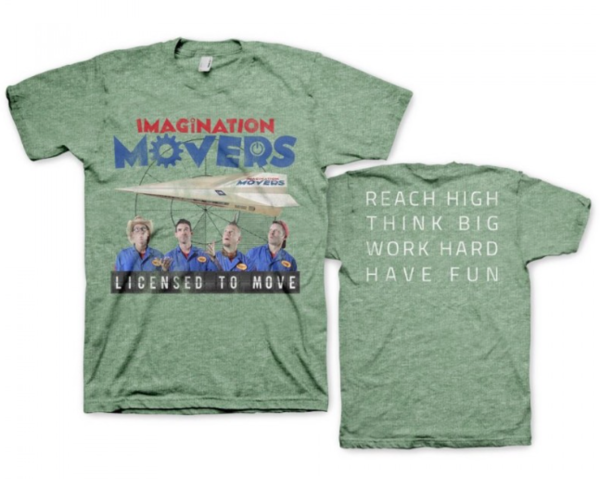 Get your license to move by wearing the official Movers “Licensed to Move” shirt - the perfect gift for any Mover fan.